Naija Celebrities will get there soon with their red carpet outfits…..especially Rukky…lol. That shine shine green almost got me blind. Good for certain events…but not on Camera sweety…but I love your Tattooo….it’s wicked!!!! Toke looked good and the rest tried but could have done better. For one second I tought Eku was a static doll…like all those boutique models that are used to display clothes…lol, she is lovely tho! Linda Ejiofor: I prefer Linda in on the board not Linda in Black, esp the hair. Any hair style that pulls up your face fits you well gurl. Linda Ejiofor..the lacy leggins on that red carpet made it look like you were going on lunch date with the girls. In a country where everyone is over religious and putting up holier than thou attitudes. Whoever says Genny is the worst dressed female at the AMVCA red carpet needs to upgrade his/her brain cos something is lacking there which is “Fashion Sense”…Yo’ guys shut up already! Fashion is about what you feel confident and comfortable in provided you are not showing your privates, so if GENNY has decided to grace the red carpet wearing this gorgeous dress, I don’t see anything wrong with it!!! So it was the 2013 Africa Magic Viewers Choice Awards and the ever glamorous celebrities flooded the red carpet in their supposed elegant and eye catchy outfit. For every occasion some will dress nice and some will appear on the red carpet looking like they couldn’t afford a good fashion stylist. Now it’s time for the egosentrik team to analyse the dress sense of some celebrities who were outstanding and some who needed to have a second look at themselves in the mirror I must say that all of them tried their best to look good, so kudos to y’all, however, your best wasn’t good enough!!!! 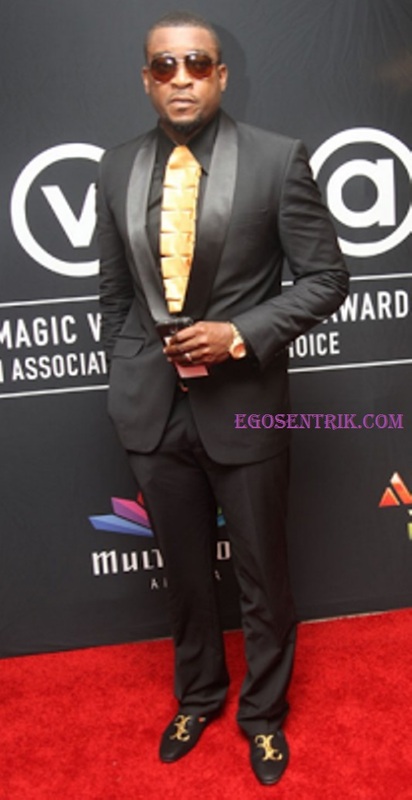 Best Dressed Male is Chidi Mokeme! This dude is always on point and his height is an added advantage. Chinedu Ikedieze: Worst Dressed male, the blazer looked nice on you, but what you’re wearing inside is ah ah. 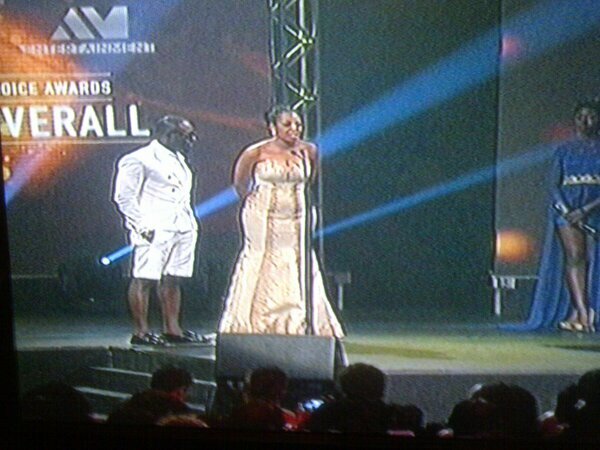 Jim Iyke: Worst Dressed Male Nominee, WTF is Jim Iyke wearing on that stage? The colour is too bright the dress is all over the place. Jackie Apiah: Worst Dressed Nominee, red on a red carpet is not the best idea…however, it depends on the shade of red you’re wearing. But in this case sorry, it’s a no no for us. Your tummy needed to be tucked in properly with an invisible Tummy Trimmer. For your size that dress is not for you. 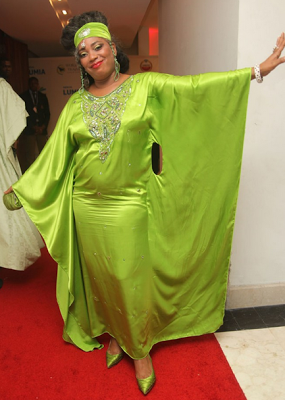 Emeka’s wife definitely knows what fits her size and went for it. I can’t see a Red carpet on the floor…lol..meanwhile Toolz posted this pic on instagram as what she wore for the occasion. I think she looked absolutely gorgeous and curvy on it. 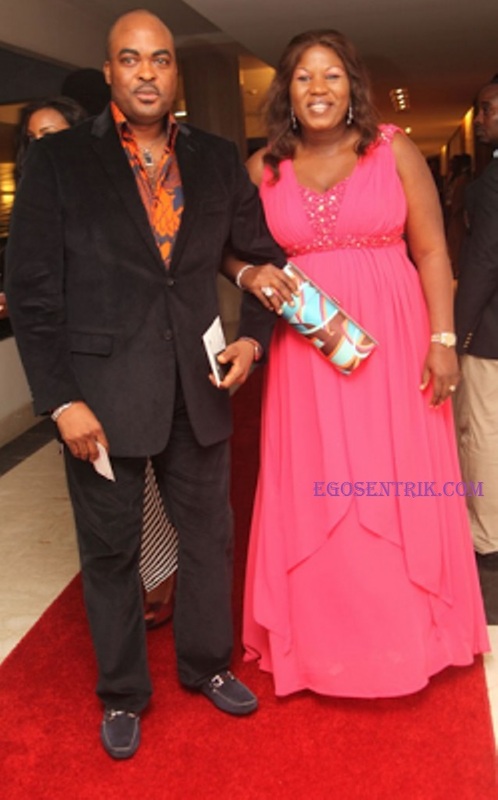 Stephnie Okereke: She is pretty, however, the dress is too safe for you. Try taking a risk next time and dress to kill. Funke Akindele: I love this lady but she also needed a tummy trimmer for her dress! I circled her tummy and that spoilt her chances of being part of the best dressed female award. Although she might be pregnant as she wedded not too long ago. Am sorry. The colour is too bright and the dress is all over the place. This award would’ve been Rita Dominic but she narrowly escaped with her accessories. He casually dressed for the occasion wearing that? Jim obviously wanted to divert attention to himself and guess what he did!! !